So somewhere between a belt and a mini skirt? With denim stocking accessories. But don't assume that she's trying to attract sexual interest, that would be harassment. Now THAT's the definition of attention whore! The beards face says it all. WTF face. Retarded. But sadly, girls are sheep. 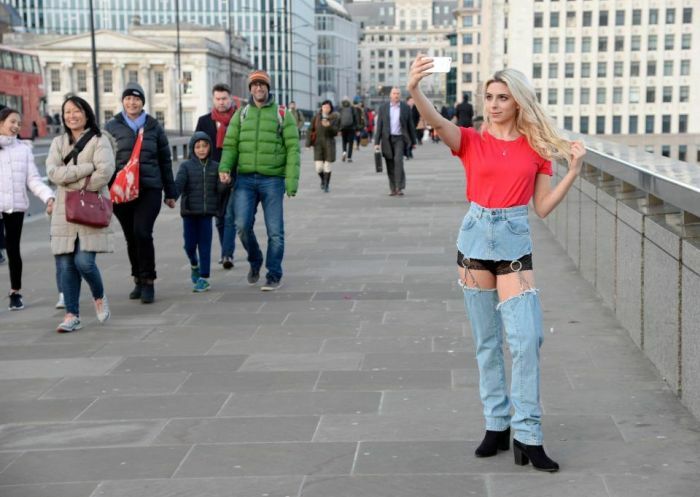 Those jeans, well sorry, those holes with a string of denim. I just have no words. 20 quid for full jeans, modifiable, 200 quid for jeans with holes in them... Go figure!